Showing and not telling your audience information is extremely important because you want to keep your reader interested? Why? Other than the obvious, the point is to get the reader interactively trying to constantly deduce what is happening, what is going to happen and how they feel about it. This is what engagement means here and it is the life blood to the writing craft. Engagement means reading…and reading means a whole host of things. Reading means learning, buying more books, self betterment, self awareness, feel good moments, and escapism. Reading means expanding the moments and thoughts which push wide open the curtains of your mind for a better day, week, month etc. It is important that in taking people on a journey, you know how to do it well. We are talking about show vs. tell and it’s inverse today, to completely understand this tool. K.M. 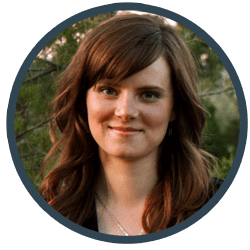 Weiland is an award-winning and internationally published author of the bestselling Outlining Your Novel and Structuring Your Novel. She writes historical and speculative fiction and mentors other authors. Here she lists, Summarizing Information the readers already know, avoiding tedious information and similarly skipping “Filler,” events. According to Weiland, in Reverse of the Medal, Patrick O’Brian neatly summarizes information to which readers are already aware. The relaying of these facts from one character to another is vital to the story, but O’Brian knows his readers have no need of hearing it twice—so he summarized. This is when telling is essential, to keep your reader engaged. *An important thing to note here, is that the summary should still be done in an interesting way through dialogue. Avoid large chunks of exposition this way. Expository paragraphs are boring to read and when you are revising, if you find yourself skipping or avoiding reading large chunks of text, you may have an expository chunk of information. Liven it up and tell us the info through the characters by also revealing a bit more about the character when they are telling it. For example word choice is important here. If the character decides to say that someone was “Woke,” you may be inclined to see them in the present times and get a sense of their grasp of pop culture and perhaps deduce their age. The point? “Tell,” us info while texturing and layering with word choice. K.M. Weiland says that O’Brian spares his readers the potentially tedious and non-vital scene of a ship auction by skipping directly to what’s important: the outcome of the sale. This is an excellent point, because I don’t want to sit through a ship auction. This seems obvious, but I have written extremely boring scenes in my first drafts because I am telling myself the details, especially the emotional details of what happened. This will be cut later, and can be an important part of fleshing out a character. It’s ok to do this, if this is an example of your crafting your story, but be cognizant of what you are doing to keep things fresh, the story moving and the readers engaged. A journey can be an important thing to witness and to experience with the characters if the character is overcoming something through the act of journeying, but K.M. Weiland makes the important distinction, again using O’Brian’s novel. She mentions that he excludes the unnecessary and often boring “filler” material by summarizing the characters’ journey from one location to another. Cut out the details of getting from point A to point B and just tell us what happened. If this information, the experience of the travel isn’t essential to the plot, cut it. Tell us through dialogue how the character got there and move on. Traveling is hard and tedious sometimes…save us experiencing the flight delays and the bad airline food if we don’t need to choke it down to move the story forward. According to Jerry Jenkins who is the author of more than 190 books, and has sold more than 70 million copies, including the bestselling Left Behind series. He talks a little about the importance of showing rather than telling. When you tell rather than show, you simply inform your reader of information rather than allowing them to deduce anything, and this is key because engagement of the reader is the ultimate point. Mr. Jenkins also says that rather than telling that your character is angry, show it by describing his face flushing, his throat tightening, his voice rising, his slamming a fist on the table. When you show, you don’t have to tell. Cold? Don’t tell us; show us. Your character pulls her collar up, tightens her scarf, shoves her hands deep into her pockets, turns her face away from the biting wind. Next postSo, you want to be a Cryptozoologist? FOR KIDS! A great tip and reminder! There’s nothing worse than a narrator talking to their audience like grade schoolers. Most of us can piece a lot of things together ourselves, and that’s DEFINTITELY half the fun! We don’t want to be left in the dark, but we don’t want to be pandered to, either! Good information and I appreciate the examples!